Keep track of employees & send an emergency response direct to their location. A panic button allows an employee to signal for help when in need of assistance. Built to be impact and weather resistant with IPX7 water resistance. Satellite device users can be monitored in our cloud-based Hub alongside app users. Using Iridium’s satellite network – the only network to span the entire globe. 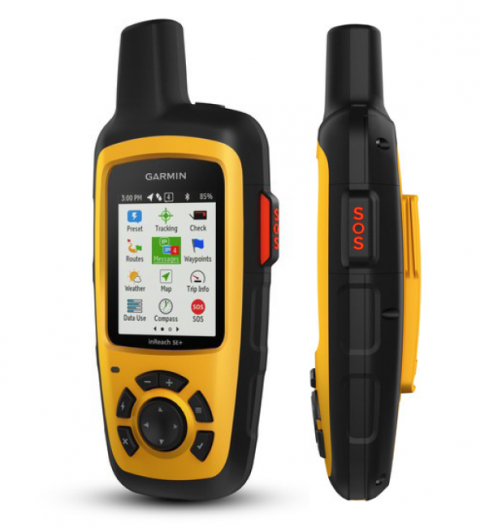 Navigate remote areas with an inbuilt compass, satellite mapping and an electronic bread trail. Beginning location tracking and sending a panic alert is quick and simple. Who should use a satellite tracking device? Our satellite solution is perfect for anyone regularly travelling to remote areas where even a basic 2G connection cannot be made. Designed to endure falls and harsh weather, the device is suitable for use in any environment. For employees who experience areas of low – rather than no connectivity – we also offer a low signal mode, which can be used with a regular smartphone or tablet. Can I connect my smartphone to a satellite hub instead? If you would rather your remote workers continue to use their smartphone or tablet in remote areas, the StaySafe app is also fully compatible with Inmarsat’s satellite network. All the employee needs is a small portable Inmarsat satellite hub which allows them to receive a data connection on multiple devices – so they can continue to use the StaySafe app, as well as receive and make phone calls. Plus, one Inmarsat satellite hub can be used by multiple employees when working close by on a single site.